2017 could be a challenging year. Global grid-connected solar PV additions reached 75GW in 2016, according to the PV Market Alliance (“PVMA”) who reported that cumulative worldwide solar installations have now passed 300GW. The 75GW estimate is in broad agreement with other market analysts: Bloomberg New Energy Finance (“BNEF”) estimates that 70GW of PV projects were completed last year, while Mercom Capital had forecast in December 2016 that the PV installations would reach 76GW. China, the USA and Japan remain as the leading three markets. PVMA warned that 2017 could be a “challenging year” with installations falling to 65GW in a worst-case scenario, down 13% from 2016, although it did not discount the possibility of achieving the same levels as 2016. China added an impressive 34.2GW in 2016, accounting for 45% of the total global deployment and far exceeding the 18.1GW target originally set for the year. According to China’s National Energy Administration (“NEA”), cumulative installed PV capacity reached 77.4GW. In November 2016 China downgraded its cumulative target to be reached by 2020 from 150GW to 110GW. With the latter milestone now expected to be reached during 2017, China’s demand is likely to be significantly weaker in the three years between 2018 and 2020 unless the target is revised upwards. China intends to spend more than $360 billion in the period to the end of 2020 on renewable power sources like solar and wind, according to the government’s NEA. The agency said in a statement that China would: create more than 13 million jobs in the renewable energy sector by 2020; curb the growth of greenhouse gasses that contribute to global warming; and reduce the amount of soot that has recently blanketed Beijing and other Chinese cities in noxious clouds of smog. The Japanese PV feed-in tariff programme started in 2012 and led to a massive surge in deployment. The trend appears to have peaked in 2015 when over 11GW was installed and Japan’s PV cumulative capacity became the third largest in the world behind China and Germany. Installations in 2016 fell to around 9GW and look set to fall further in 2017 as grid access and financing become more difficult and stricter criteria are applied for project approval. Following its biggest ever year in 2016, cumulative US installations are expected to nearly triple in size over the next five years, according to GTM Research and the Solar Energy Industries Association’s (“SEIA”) latest report. The US solar market nearly doubled its previous record last year, with more than 14GW of PV installations. For the first time ever, PV was the largest source of new electricity generating capacity brought online on an annual basis, representing 39%. A slight dip in installations is expected in 2017 with 13.2GW forecast, a 10% drop from last year, but still 75% more than was installed in 2015. The dip will solely occur in the utility-scale segment in response to an unprecedented number of utility-scale projects coming online in the latter half of 2016 in the aftermath of the Investment Tax Credit extension rush. The United Kingdom had reached a cumulative installed PV capacity of 11.5GW by the end of January 2017 according to provisional statistics released by the Department for Business, Energy and Industrial Strategy (“BEIS”). Only 1.9GW was installed in 2016, which is a significant decline on the 4.1GW connected to the grid in 2015 and below the 2.6GW in 2014. The largest increase in capacity during the year was registered in March 2016, before the Renewables Obligation scheme for projects smaller than 5MW was closed, with a one-year grace period for some projects. Despite the decline, the United Kingdom remained the largest market in Europe for the third consecutive year with only two other European countries, France and Germany, installing more than 1GW in 2016. India has recently surpassed the 10GW of cumulative PV installations milestone according to the Ministry of New and Renewable Energy (“MNRE”), when India’s largest utility NTPC commissioned another 45MW of PV at Bhadla Solar Power project, near Jodhpur, in the state of Rajasthan. The country has tripled its capacity in less than three years and MNRE advised in 2015 a cumulative target of 100GW to be reached by 2022. India is likely to overtake Japan to become the third largest market in 2017. There has been little change in the disputes which have plagued the PV Industry in recent years. China maintains its anti-dumping duties of up to 57% on imports of polysilicon, but in practice the duties are levied primarily on imports from the USA. Imports from Wacker, the only EU producer, are spared duties because of “price commitments” given to the Chinese Ministry of Commerce (“MOFCOM”). Similarly only modest duties of 2.4% are imposed on imports from the largest South Korean producer. However, following complaints from domestic polysilicon companies of increased dumping activities by South Korean companies, MOFCOM announced in November 2016 that it would review duties on imports from South Korea. In October 2015, the European Commission (“EC”) launched an expiry review of anti-dumping measures on imports of Chinese cells and modules which were introduced in 2013. The measures impose duties on those companies, which do not agree to accept a minimum import price (“MIP”) for modules of €0.56/W, were due to expire in December 2015. Following complaints that dumping would resume if the MIP was removed, the measures continued until March 2017 while the review was carried out. Following completion of the review and with the agreement of member states, the EC has decided to extend the measures for a further 18 months but with reduced MIP rates. However, the impact on imports from Chinese companies is likely to be minimal as most of those companies have left the MIP agreement and set up manufacturing facilities in South East Asia. 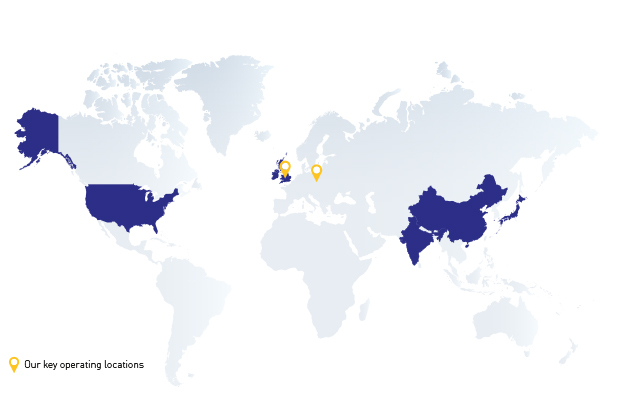 Modules produced in these locations can be imported free of duties into the EU. The USA continues to maintain duties on imports of PV modules from China. The first of two anti-dumping and anti-subsidy cases against China was filed in November 2011 and subsequently led to the imposition of steep tariffs on Chinese cells. This led to a widespread use of Taiwanese PV cells, and another complaint was filed in November 2011 against both Chinese cells and modules and Taiwanese cells, which led to more tariffs being imposed. As in Europe the effectiveness of duties is now much reduced as many Chinese manufacturers have set up manufacturing capacity in South East Asia in an effort to avoid these tariffs altogether.